When I left you in the last post both Kate and I were not feeling too well. Sure I was buzzed on Chicken Buses, but my stomach was a bit tender and Kate was in an even worse place. Thankfully, the next morning we were feeling on the up. Not 100% but A LOT better. Which was lucky, as this was a BIG travel day. By big, not as in what we were going to see, but BIG as in how far we had to travel. So because of this, and that we had to get through Guatemala City, our day started at the ungodly hour of 5am. Quite the shock for all of us, but especially those just starting the tour. So bleary eyed, we boarded and started our trip to Flores. Flores was an exciting destination, as it super close to the Myan ruins of Tikal, one of our main reasons for this trip. But until you get that post later, there is not much to report about this day. It was about 12 hours of travel. 2. The country feels very different to Mexico, in terms of countryside, people and food. 3. It seems as though the guy above is desperate to become the new prime minister. 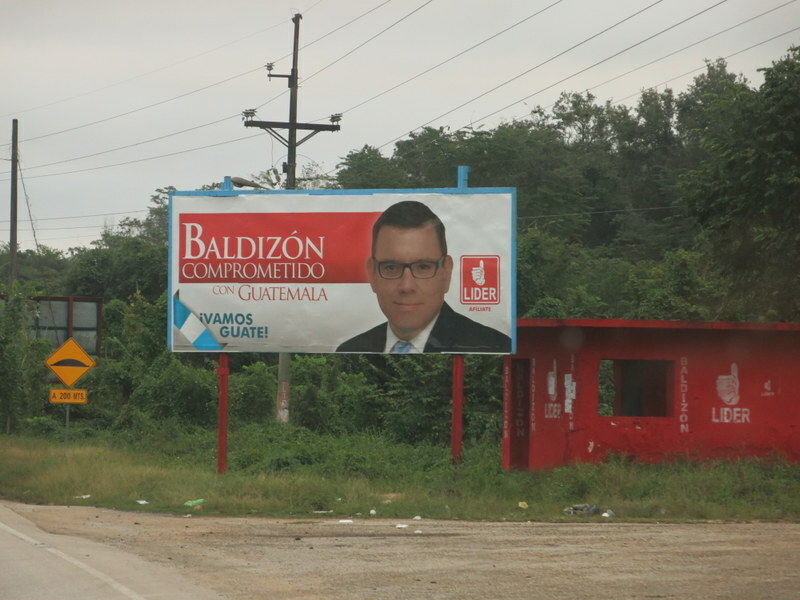 Apparently he is in opposition, but this billboard is EVERYWHERE. No, really… EVERYWHERE. At dusk we ended up in Flores. Flores is a small island in a huge lake Peten Itza. 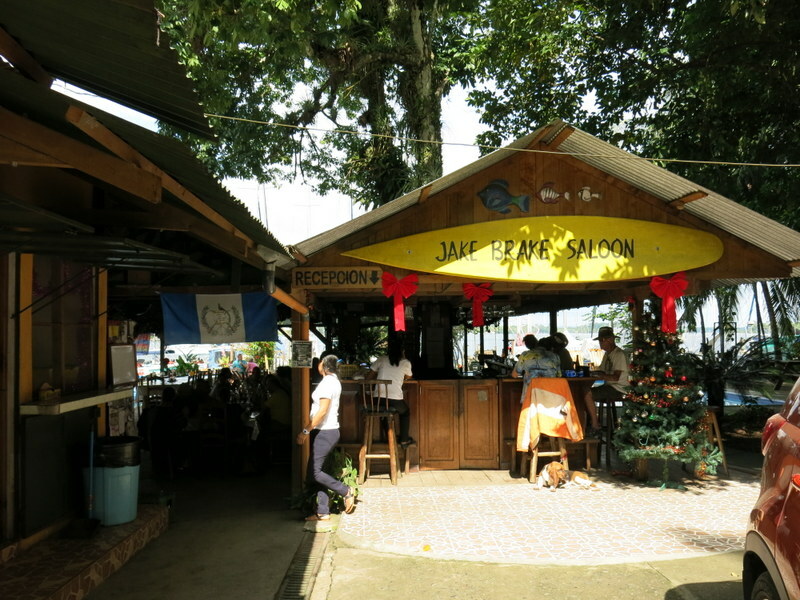 The township is very small, such that our 5 minute orientation tour covered half the island. It also seemed as if Gallo Beer sponsor the island, with their ubiquitous Rooster logo everywhere, even on the christmas decorations. I joined the group dinner, while Kate took the opportunity to get some more rest for another big day tomorrow… this time exploring more ruins.